Wes (@WestonBergmann) has won more eliminations than any other Challenge competitor. Wes has 2 Challenge Championships. Wes has appeared on all 3 Champs Vs Stars spin-offs. So why hasn't Wes been on Challenge Mania yet? 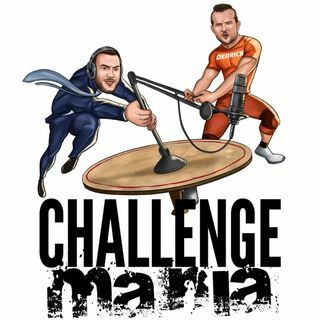 Even though Wes has admitted to BEING a Challenge Maniac himself, having listened to most of, if not all of the past episodes, it took 62 episodes to get Wes on the show because simply put...if you ask ... Maggiori informazioni anybody...Wes and Derrick do not like each other. At least, that's what they thought. That's what we thought. That's what the internet thought.